The Terrascience MA series triaxial accelerometers utilise a high performance, low power MEMS accelerometer contained within rugged packaging, which makes it an ideal choice for applications in harsh industrial and outdoor environments. 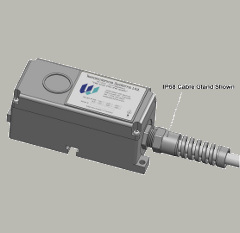 The MA-Series accelerometers provide industry standard analog output of ±2.5 V full scale. The sensing element contained in the MA-Series utilises the state-of-the-art capacitive based Micro-Electro-Mechanical System Accelerometer technology. In addition, the modular electronic design with ultra-low power consumption allows flexible output range and tilt compensation.